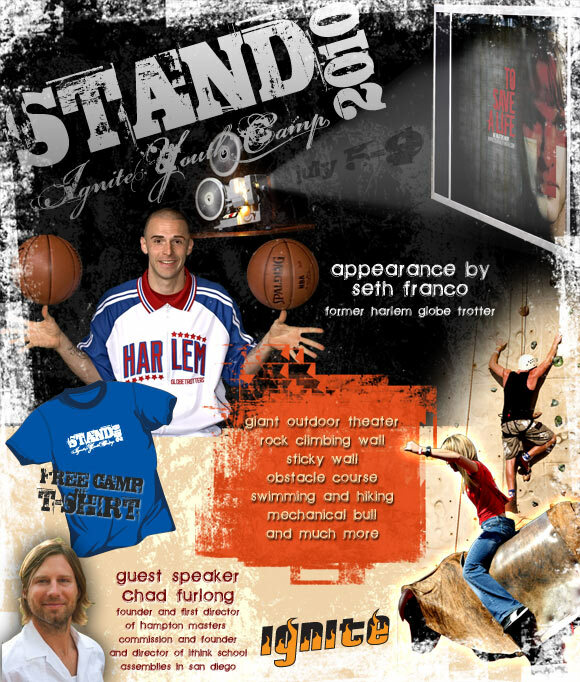 The IGNITE Youth Department is now accepting campers for the 2010 IGNITE Summer Camp, JULY 5 – 9, 2010. Campers must be in grades 6-12. PARENTS: Download the Youth Camp Packet (1.25MB) with camp information and releases. Cost of the camp is $65.00 (Non-Refundable). Sign up and pay below or call the BVC Office (530-3299) to register. Space is limited. Campers will be accepted on a first come, first serve basis.